Shortest month of the year time. Though still enough time for new private tables and the opportunity of not one, but two dates to celebrate promotion style. Being the month of love Playtech did their annual Valentine’s Day promotion spectacle. Female dealers were wearing the long established red neck hearts and a majority of tables came with another heart decoration just in case you weren’t feeling enough love from your dealer. 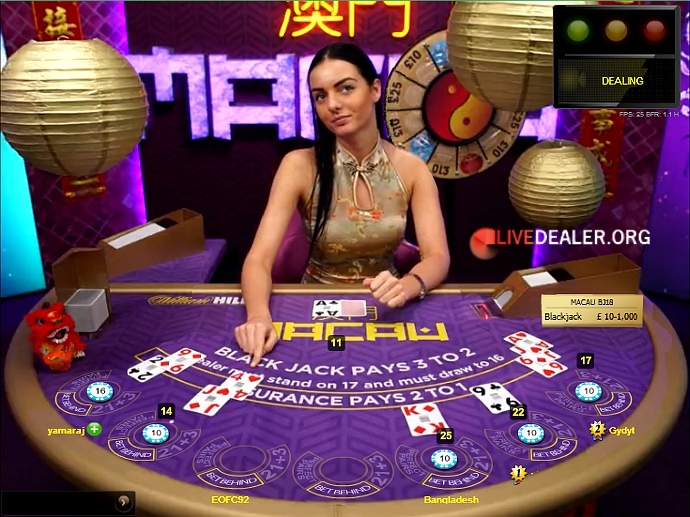 As with previous promotions some casinos seemingly chose to not pay any love ransom money to Playtech and had private tables and dealers sans hearts. The Asia studio tables did however get involved in the love fest. Fear not If you missed it, put a reminder in your diary for 2017. Odds on it will look pretty much the same, although the faces may have changed. The number of private tables at Playtech continues to grow. Albeit at a more modest pace than local rival Evolution Gaming who posted record results in 2015. This time it was bet365’s turn to increase their tally of private tables in the Euro studio. 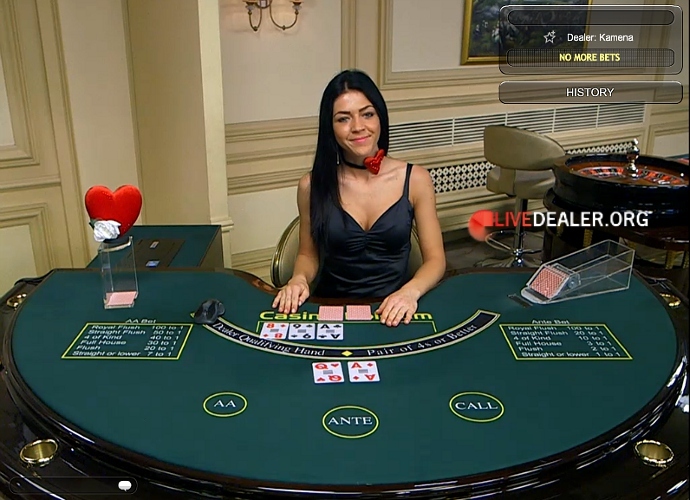 Bet365 obliged their loving players with the reward of an extra blackjack table. 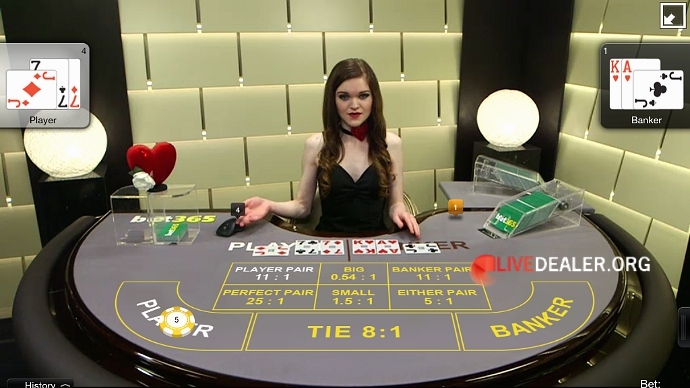 There’s also a new private baccarat table at bet365. The mini format table is open to both PC and mobile players. 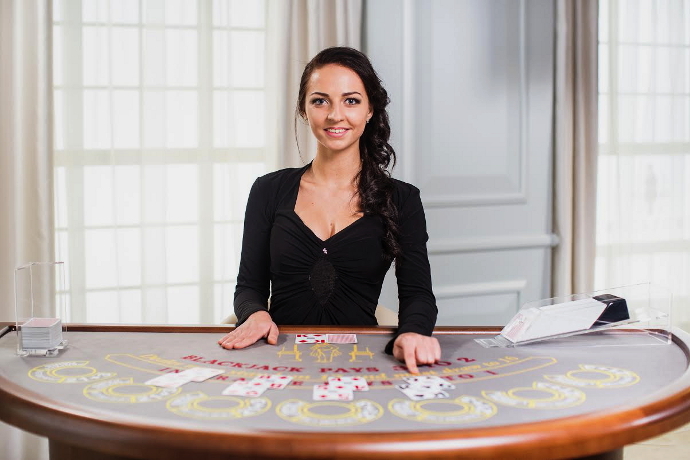 Playtech continued to transform and modernise their Riga studio procedures with the introduction of a shuffling machine on the Casino Hold’em table. Previous Valentines players could enjoy the company of a female shuffler and dealer on the table, but alas not anymore. There’s still some way to go though before Playtech can consider themselves trailblazers. Rivals such as Evolution have been using Shuffle King’s on their generic poker tables for a considerable time. Also, somewhat irksome the Hold’em table remains unavailable to play on mobile devices at Playtech casinos. As a point of interest, if you have a preference for a traditional shuffle it’s worth visiting William Hill Mayfair or trying the new Genting table at Evolution where dealers perform a hand shuffle between poker rounds. 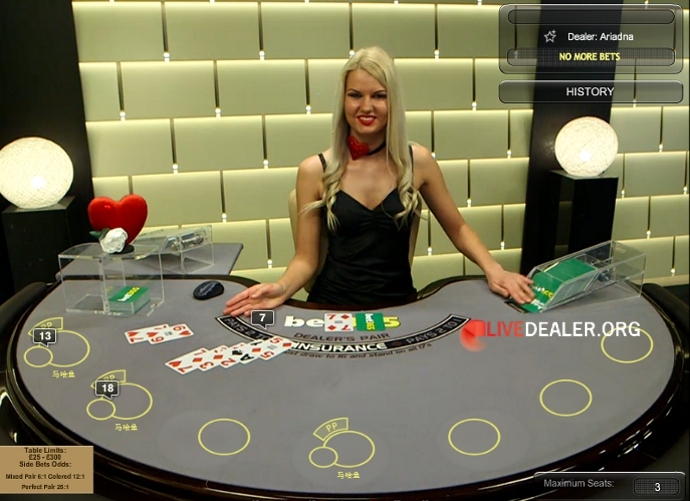 February saw the launch of Genting’s anticipated new dedicated area tables at Evolution. 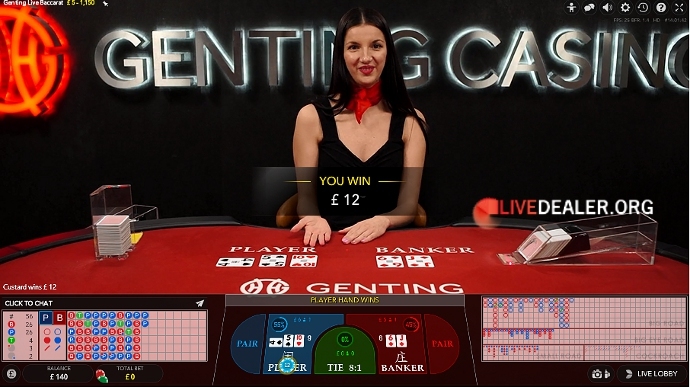 Genting have chosen to go with a something for everybody approach rather than simply having X number of blackjack tables and the almost now obligatory roulette table. Private tables available include 2 roulette, 2 baccarat (with and without squeeze), 2 blackjack and Three Card Poker. 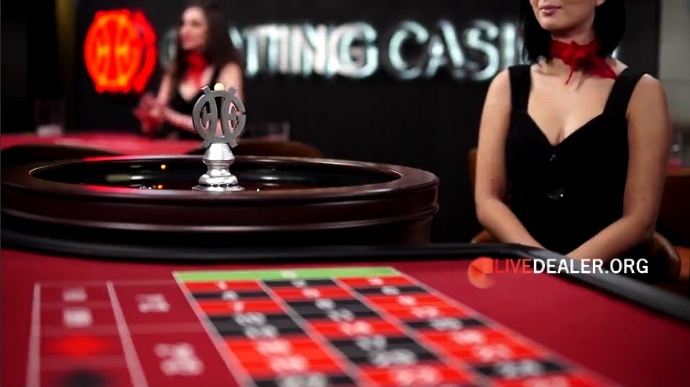 Genting’s roulette table is another multi-camera Immersive Lite installation. 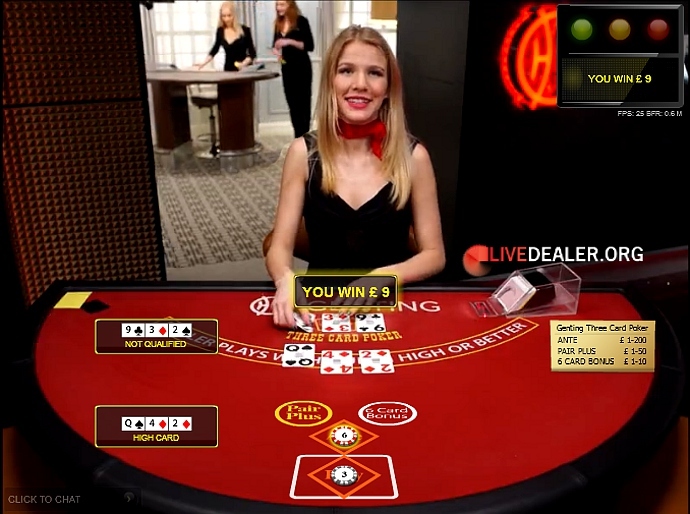 The main baccarat table is also presented in multiple camera angle format. There’s no squeeze on this table which makes for a quicker game. Depending on your player status you don’t get immediate access to the select VIP tables which are contained within a separate Crockfords branded area adjoining the Genting tables. High rollers most welcome no doubt, though perhaps not Phil Ivery. Visually the Genting and Crockfords environments are as different as night and day. The only common factor linking them being the shared dedicated dealer team who perform a slight uniform change when moving between areas. Female dealers wear long black dresses similar to Grosvenor dealers. Genting have also taken inspiration from another casino with the dealers wearing neck scarves. Personally I wish the red scarves weren’t permanent and just Genting’s way of celebrating Valentine’s Day, but at least they don’t look like the dealer is being strangled by a giant ladybird. The Crockfords area tables currently open daily from 17:00 GMT. It’s here where the other baccarat table with squeeze is situated, along with the second blackjack and roulette tables. 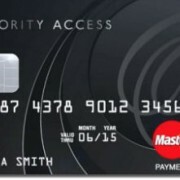 Limiting access to tables depending on status is a departure from the normal with Evolution casinos. It’s something much more akin to Playtech casinos despite all manner of excuses from their respective customer supports before you finally get confirmation of what you suspected in the first place. Tongue in cheek I would suggest withholding tables became ingrained in Genting’s DNA from all the years they spent at Playtech before they switched platforms. 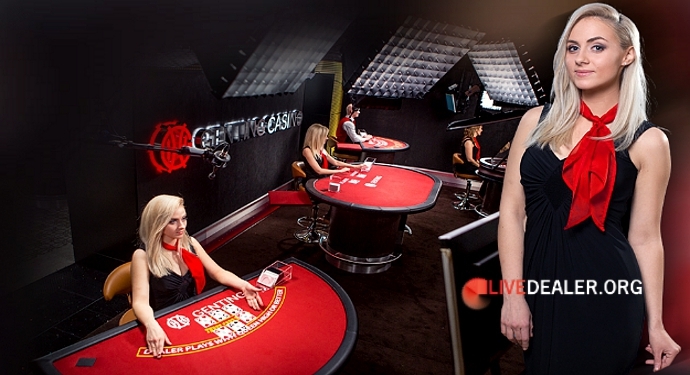 Last year Grosvenor Casinos opened another private blackjack table outside of their dedicated area at Evolution. At first it seemed this could be just a temporary measure to increase the number of blackjack seats in the run up to Christmas. Apparently not so as the table is still open. Though lack of space in the dedicated area is preventing the table joining the other private blackjack tables. 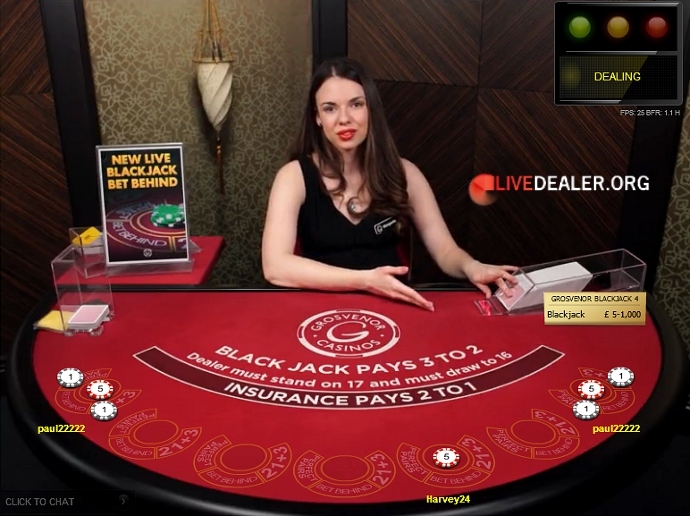 The majority of Grosvenor’s live dealer games are playable on the mobile site (iPad and Android). The only real drawback gamewise being the absence of bet behind on mobile blackjack, although with 5 private tables it’s not a major issue. Never one to miss a promotion opportunity William Hill decorated the recently opened Macau private area to celebrate the Chinese New Year. No fire monkeys in sight but several dragons where on table duty…..and no I’m not talking about the dealers or Promotion Hosts who always look very attractive in their dresses :). If you wanted to get away from all the loved up Valentine’s dealers at Playtech, and it wasn’t your New Year you may have come across something different at NetEnt casinos. Last month it was Rock N’ Roulette. February’s novelty roulette themes included Space and Monaco with free spins being given away on slot games. Hardly the best promotion prize out there among the live casinos. 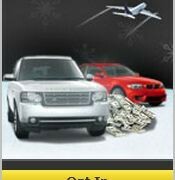 Especially when you consider the likes of William Hill private tables daily cash giveaways. Nevertheless, if you like the NetEnt platform receiving something free for simply doing what you normally do is better than nothing. and the next theme at will be….keep on playing to find out. 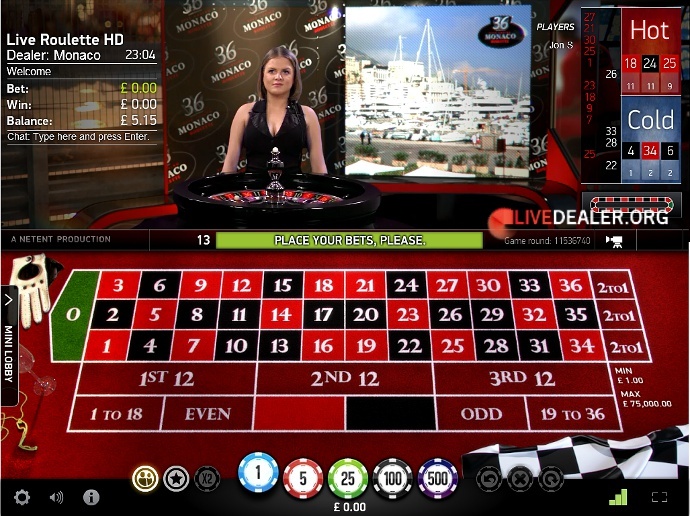 NetEnt casinos include Unibet, BetVictor & Mr Green. Early March should see the opening of William Hill’s new Vegas area at Evolution. Word is the area resembles the existing Vegas area, but considerably bigger and more tables. 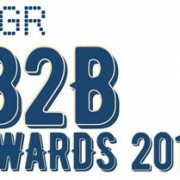 No doubt involving copious random table bonus giveaways and promotions. Similarly 777 casino are in the process of adding 3 extra private blackjack tables. 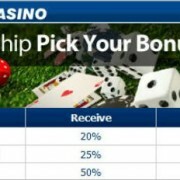 If your spider senses are lacking and you want to stay informed of the various casino promotions it’s always worth checking them out here at Livedealer.org on the calendar.